With a straight face, the former Democratic Party presidential candidate, Hillary Clinton continued to blame Russian hackers for her loss in her run for the White House 2016. Hillary Clinton renewed her accusations at a press conference she held outdoors at the edge of a forest where she had been taking walks with her husband after her defeat in November. 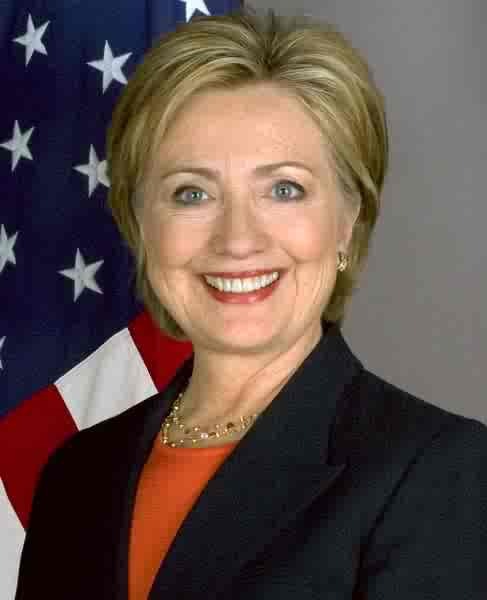 “If only the Russians wouldn’t have hacked into the DNC emails and exposed that my nomination as the Democratic Party’s presidential nominee was a foregone conclusion and that Bernie Sanders never had a chance from the get go, I would be standing here before you inside a building as the first woman president-elect,” Hillary Clinton said. Hillary Clinton then threw on a bright red parka, a deep blue backpack and garbed a walking stick made of White Birch tree she had leaned up against the podium. Hillary Clinton then raised the stick in the air, proudly pointing to the initials ‘A.G.’ carved on the side. “Time to go see Al?” Hillary Clinton asked out loud. “He’s my pal, you know,” said Hillary Clinton aloud. Suddenly, Hillary broke free from her husband and dashed back onto the stage. Once again, Bill gently placed his hand on Hillary’s shoulder, guiding her off the stage like a coach would a prized fighter out of a boxing ring after losing the match.